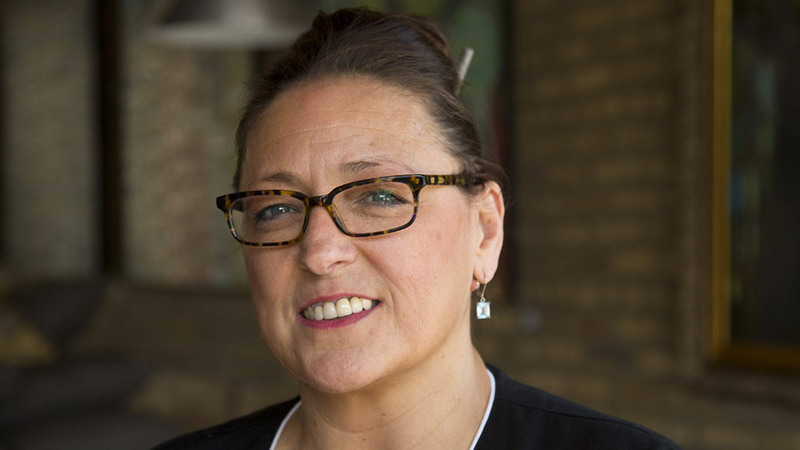 Before becoming a chef — immigrating to the U.S., settling in Evanston, and bringing a knowledgeable culinary perspective to Tommy Nevins and the Celtic Knot — Debbie Evans was a professional dancer. Trained in theater and dance, she performed for audiences across Europe. Her travels eventually deposited her in Evanston, where she would open a brewpub with a noticeable English accent. The same can be said of Evans, who says the Peckish Pig — which opened a little over a year ago — has received peckish customers “right across the realm,” from Winnetka to Glencoe to Rogers Park. As owner of the tavern and onsite brewery, Evans performs a different routine. One where every member of her family plays a role, and no less graceful than the routines she performed in the past. Her audience is still sitting, in rapt attention. And when people call her over and say the food is great, she gets a similar feeling. In the Peckish Pig’s kitchen, Evans moves with poise showing how to prepare a treat from her childhood: English scones. The recipe comes all the way across the pond from her nan (grandmother) and is a distant cousin of American scones, which tend to be flakier and drier, with more sugar. 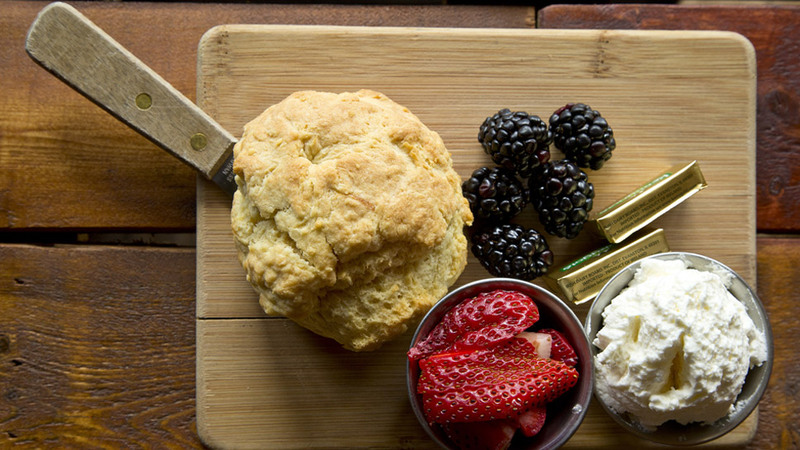 Among the many differences, Evans’ scones were doughy, with cream that gives it “a richer, deeper flavor,” and infused with Kerrygold, an Irish butter. Extra points: If you serve your English scones with tea and slice them along the center, piling on both halves as you would an open-faced melt: butter, strawberry preserve jam, cream, and a layer of strawberries.